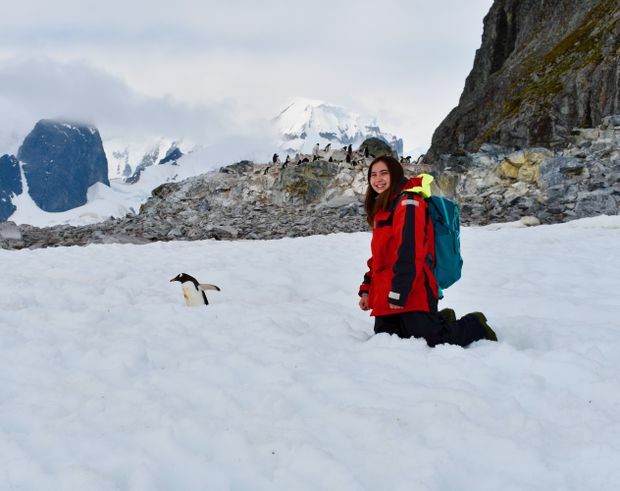 Nicole Zanesco on a research expedition to Antarctica through Quest University in January, 2018. Nicole Zanesco’s initial university selection process didn’t include private universities in Canada, even though she ended up going to one, and this isn’t unusual in this country because many prospective postsecondary students may not be aware that these schools exist here. “At first I looked at Queen’s, McGill and other schools that my friends and peers were going to, but I didn’t want to go there,” Ms. Zanesco recalls. “At first I thought it looked a little bit strange,” admits Ms. Zanesco, “but then I started to do my research on it and it solved all the problems for me that I saw with the large public universities and the issue with having to pick a specific discipline right away.” Quest’s focus is to provide students with a cross-disciplinary liberal-arts and sciences education. The university has struggled with debt for years, and staff departures recently, but has ranked highly in the annual National Survey of Student Engagement. Experts and students agree that Canada’s public postsecondary system is ingrained in the country’s fabric, so there is not a great call for private universities. There is also the cost associated with attending a private institution, with tuition fees at Quest coming in at $35,000 a year and sitting at about $22,000 for the faith-based Trinity Western University in Langley, B.C. But there are private universities across the country that serve a specific population, whether because of their program, generally smaller class sizes or the student preference. Students who select private universities in Canada do so with a specific motivation in mind. Mainly, it comes down to two factors: The traditional set-up of current universities does not suit them or they have religious reasons. The lack of awareness of private universities in Canada is not surprising when one considers that the majority of the country’s universities are public, unlike its neighbour to the south. But the United States had a “head start” on Canada when it came to formation and funding of their universities, explains Paul Axelrod, professor emeritus and a former dean of education at York University in Toronto. Thanks to a higher population, a flourishing Evangelical Christianity faith (most universities were religion based) and economic prosperity brought on by the industrial revolution, the United States had larger endowments and funding injected by private citizens into the country’s postsecondary system. “They had what today would be the billionaires and we didn’t, so there were some serious donations made,” he explains. Meanwhile, the build-up of Canada’s university system was based on government support due to the need to serve a smaller population spread across a vast geographic space. Despite the founding of non-profit, non-religious schools such as Quest, Yorkville University in locations across Canada with a focus on practitioner-oriented programs such as business administration, and University Canada West, a business-oriented school in Vancouver, in the past two decades, Dr. Axelrod doesn’t see the system changing. “I think it’s primarily the cost and availability of opportunities for high-quality education in other [public] institutions,” he adds. But these universities do appeal to some students. “I think there are four types,” explains Zahra Rasul, owner and director of Rasul Learning Group, an education consulting firm. First, there are the students who are looking for “more specialized opportunities, learning and resources, but don’t want to pay the big bucks to [a U.S. school],” explains Ms. Rasul. The second would be a student with a strong religious affiliation. Third is an international student who is looking at specialized programming and a smaller setting that might act as a stepping stone to get into other universities in Canada (as a transfer or for graduate school) and who “is also used to paying for it,” she adds. Ms. Zanesco’s time at Quest University is coming to an end, but she says she couldn’t be happier with her decision to attend this school because it gave her a sense of proactivity in her education and allowed her to study a range of courses from physics to philosophy, including a trip to Antarctica, while pursuing a focus in international relations. She also believes it has given her certain advantages over her counterparts as she looks at moving into graduate school or the work force. “I feel like the work ethic you need to have at Quest prepares you perfectly for graduate programs or high-level jobs,” Ms. Zanesco says.